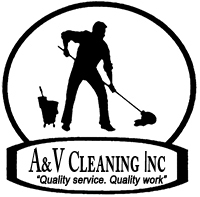 Attract new clients and guests with ease when you choose office cleaners from A&V Cleaning. Our team in Cleveland, Ohio, responds quickly and courteously when you reach out for a service request. Let our cleaning specialists transform your business into a tidy, dust-free zone for your customers and employees. Contact us today to discuss your office cleaning needs, and recruit our team to brighten up your workplace at a great price.